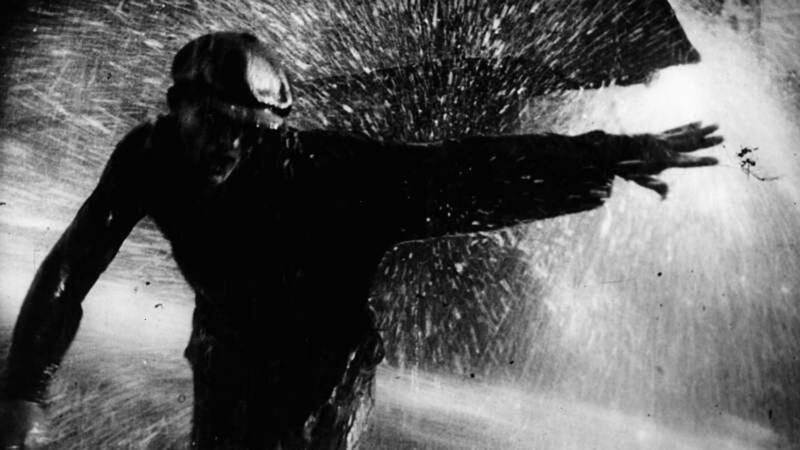 Before Battleship Potemkin, Sergei Eisenstein made this stylized and theatrical film dramatizing a labour strike at a Czarist-era heavy manufacturing facility, utilizing wild cinematic rhetoric and garish animal characterizations. 2017 is the centennial of the Russian Revolution. Back then there were two—February and October—but since then, there seems to have been more: 1989 in particular when the Berlin Wall fell, and 1991 when the Soviet Union dissolved. In this five part series, we will let history span from 1917 to now, with a live music performance accompanying Eisenstein’s first film, Strike, from 1924, to showings of Tarkovsky’s 1974 film The Mirror and Sokurov’s 2002 single-shot masterpiece Russian Ark. Also included are the suppressed 1967 film by Aleksandr Askoldov, The Commissar, released finally in 1988 and winner of that year’s Golden Bear at Berlin, and Andrey Zvyagintsev’s 2014 landmark film Leviathan. The screenings of The Commissar and Leviathan are presented as part of Dalhousie Professor Yuri Leving’s Russian and Film classes and will be followed by discussions about the films. All five screenings are free and open to the public. Aleksandr Askoldov, USSR, 1967, 100 minutes. Shot to celebrate the 50th anniversary of the Revolution, this Russian Civil War (1918-1922) drama sees a pregnant female cavalry commissar billetted with a reluctant Jewish family; they bond as the front line comes closer and closer. The soundtrack includes music by the great Russian composer Alfred Schnittke. Andrei Tarkovsky, Soviet Union, 1974, 104 minutes. The Russian filmmaker’s most personal and opaque film is mostly about the fluidity of memory and identity, recalling a childhood and adolescence under the excesses of Stalinism. Acclaimed by British author Will Self as “the most beautiful film ever made”, The Mirror is dense, fascinating, and ultimately utterly illuminating. Andrey Zvyagintsev, Russia, 2014, 142 minutes. A man’s land is to be confiscated by a corrupt mayor in a town near Murmansk, in northeastern Russia. The protagonist’s struggle to save his home and family evolves into a battle against targeted expropriation and government corruption in this contemporary retelling of the story of Job from the Bible. Alexander Sokurov, Russian Federation, 2002, 96 minutes. A bravura single-shot tour of the great Hermitage Museum in St. Petersburg, Russian Ark examines the art, culture, and history of Russia after the collapse of the Soviet Union through the glass of the Tsarist Empire which preceded it.